The price of goods and services in Nigeria are climbing once again, after it had continued to go down for up to 18 months. On Tuesday, the National Bureau of Statistics, NBS released the Consumer Price Index, which measures inflation, and it showed that the rate rose from 11.23% in August to 11.28% in September 2018. This is making it the second time in a row that the headline inflation is rising after the 18 consecutive months decline. “The Consumer Price Index, which measures inflation, increased by 11.28% year-on-year in September 2018. This is 0.05% points higher than the rate recorded in August 2018 at 11.23%,” the NBS said in the inflation report. It stated that on a month-on-month basis, the headline index increased by 0.84% in September, down by 0.21% points from the rate recorded in August, which was 1.05%. Meanwhile, according to the bureau, inflation rate in urban centres increased by 11.7% year-on-year in September, from 11.67% recorded the previous month. The inflation rate for rural areas also increased by 10.92% in September 2018 from 10.84% in August 2018. 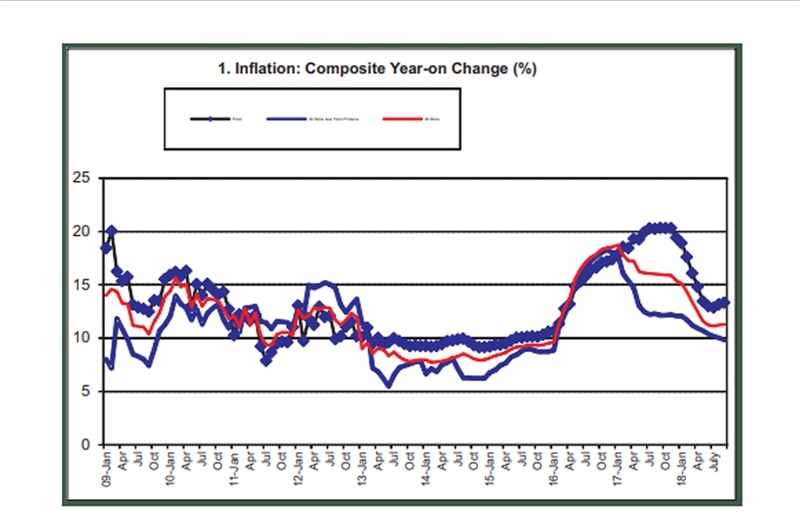 Meanwhile, analysts at Afrinvest West Africa Limited believe that outlook for inflation remains slightly negative in the near term. Afrinvest noted in its 2018 banking sector report unveiled before the media on Tuesday that the negative inflation outlook “is mainly due to continued food insecurity, which will exert pressure on headline inflation”. The investment bank noted in the report that increased inflation might be fueled by “expected increase in aggregate demand in second half of 2018 due to election spending and capital budget releases, given the currently weak productive base of the economy”. “An upward revision in the minimum wage is another near-term downside risk factor to inflation, given extensive deliberations between FG and labour unions that have reached closing stages,” the report added.